On occasion, a scurry little bugger can find itself in our home. Being exponentially ginormous in size to them, they can be a tad bit scary to us. Either that or maybe we’re just good at overreacting but let’s be real, am I right? That said, some of these house bugs can cause health damages to us. Therefore making them a valid concern albeit being absolutely tiny to us. Thus, worry not anymore and read on! 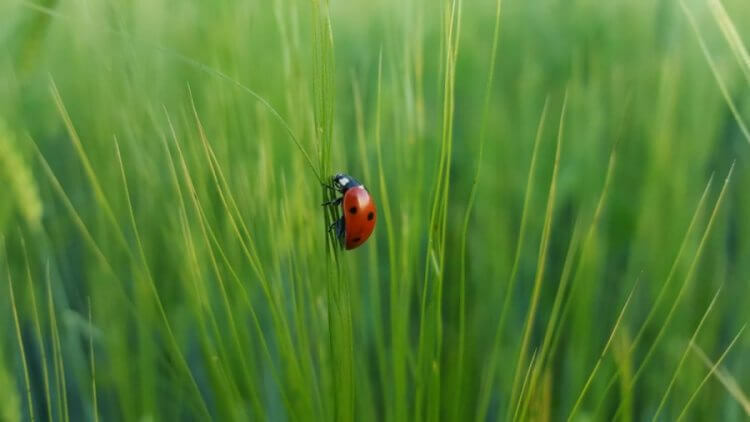 We will provide you with three common household bugs and how to get rid of them! Let’s begin with the flying (or not) menace itself. The resiliency of cockroaches is no secret. A full-on invasion by them (or for any other pest/bug for that matter) will make it a substantial challenge to clear them out. Though, all the more is this important because roaches can be a health hazard. They can cause allergic reactions from the diseases they carry. Therefore, let us try to understand how to get rid of them. The primary attractor of roaches is food. Whether they be the food on your plate, your dog’s plate, or even your bird’s plate, these scavengers will try to feast. Hence, step one is ensuring that these delicacies are tightly sealed and out of their reach. This step is imperative to not attract more in! Practically, step two would be extending your patience. It’s not the quickest thing in the world to get rid of them. It could take months. A good option would be to gas and fumigate your area. If you’re capable of evacuating for a few days, it is recommended you do if the problem has become large. Then the pesticide will have to be openly exposed to the roaches before they can be effective. Thus, they must first come out of hiding before they die. I told you they were resilient. Ants. Most of the time, they are found in your yard grass and garden. Due to this, considering the benefits of artificial grass might be a worthwhile endeavour. Though they are probably the most common and most frequent uninvited guest, they are also just hungry scavengers. Food is still its primary intent for inviting itself in. However, getting rid of them is not as simple as getting rid of the food source. This is because even if you got rid of all the Dorito chips from that time you spilt them all over your floor, that doesn’t mean that all the ants in the house will suddenly disappear. No. In many cases, they might have even already built their own home. Also, they are pretty diminutive; therefore, they can fit into most, if not all, cracks in the house. They can visit, so they will visit. Simple as that. An excellent way to begin this endeavour is by locating the ant hill. Plants, mulch, and even wood debris are areas in which ants thrive. Thus, it would be a good idea to check there. Also, if there is any debris in your home, move them away. Board and/or rock piles and whatever else that could allow them to proliferate should be taken away. If you have trees in your home, check fallen logs, tree limbs, and stumps. Also, if you have firewood, get them as far away as possible from your home. Do not bring them anywhere inside for storage. If you have done all that, just remember to keep any food source away from their reach when no one is currently consuming. And whenever you find an entryway for the ants, seal it. As with the above-mentioned bugs, you can also call an exterminator to flush them out completely. Builds nests in moulds of soils outdoors. To put it simply, bedbugs are bugs that linger around your bed. Since they can cause allergic symptoms and skin rashes, it is an immensely brilliant idea to search and destroy them prior to damage. The accurate places to check would be your headboards, bed frames, and the bed’s box springs. The fixtures and pieces of furniture near the bed should also be checked should you find a bunch of bench bugs in the previously mentioned areas. Bedbugs basically “hitchhike,” for lack of a better term. This is how they infect your belongings. A likely scenario, for example, might be that they were inhabiting a seat in an old worn-out, unmaintained bus and you happen to put your luggage there when you sat. They can hitch a ride on your luggage and be carried to your home. What’s scarier is that they can hop on from anywhere, like a seat from the local restaurant, or even the comfy couch chairs from the movie theatre! While a simple Google search will show you many different DIY ways to solve this issue, it is still best to call the experts to get rid of these nuisances. Understand that bedbugs can be extremely minute; thus hard to see. Due to this, you would have to scrub every crevice in the vicinity of your bed and furniture. Doesn’t sound fun, right? Besides, they might recommend full fumigation of the area. The main thing to keep in mind here is not the ways to get rid of them. Nor is it the specific creature. The main thing to keep in mind is to extend your patience. When the problem is small, they will be annoying. When they grow larger in scale, they will become a real pain, challenge, and even expense. However, fortunately, there will always be one or more ways to solve this. You just have to be patient!